What (and Why) Is Google's Chromebox? 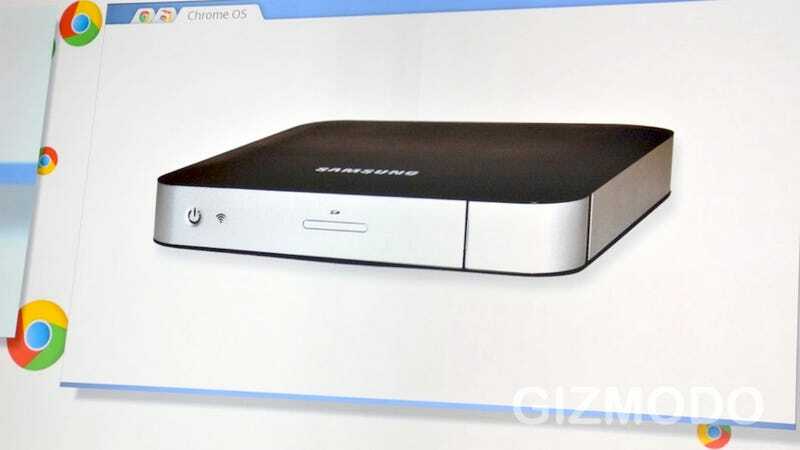 Google just gave a sly mention of a desktop version of Chrome OS plugged into a Samsung computer, seen above. And then they didn't say anything else, other than the fact that it's coming... sometime later. It looks small. Does putting a Cloud-centric, mobile-purposed OS in a desktop box make a lot of sense? In light of Google's emphasis on being able to drop your Chromebook in a river, trade it with friends, and have the same experience on every one you use, maybe not. Or, maybe you'll want a Chromebox to be just another faucet from which you slurp Chrome cloudiness.